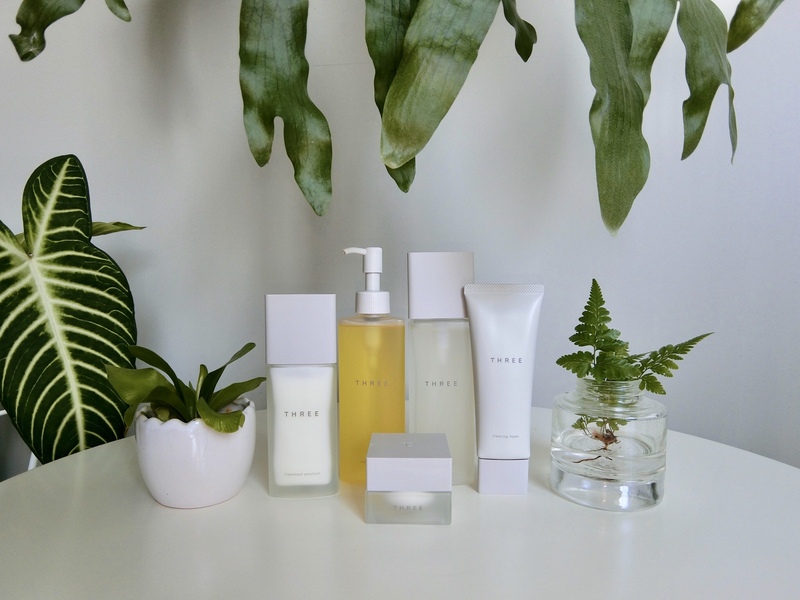 Japanese beauty label Three is known for its quality, effective and fuss-free formulas. To enhance the user experience, it has now launched a new range of skincare with a calming blend of frankincense oil to complement the skincare ingredients. All the products in the skincare line also contain laurel leaf oil (anti-bacterial), hot spring water (ionised alkaline), alpine rose extract (to protect skin). The textures are fine and easily absorbed by the skin. The Treatment Lotion is also formulated with watermelon and eggplant extracts to hydrate skin. While the Treatment Cream boasts kabosu and rosa rugosa fruit extracts to promote cell turnover and rejuvenate skin. The cleansers are also gentle. The Cleansing Oil contains sapote butter so dirt glides off; while the Clearing Foam is formulated with soap nut extract, a natural and gentle alternative to detergent.